Due to the transformation towards decarbonization, customers need to pursue sustainable power options that also deliver utmost profitability. For this, we rely primarily on microgrids, which are autonomous energy supply systems that are efficient, reliable, and environmentally friendly. Combining our integrated MTU diesel and gas genset system technology and our control solutions, with ABB’s modular mi-crogrid solution, control capability and remote service, will offer customers the combined strengths of the two world leaders in technology. ABB Ability™ e-mesh™ can ensure a stable power grid, even with a high share of renewable energy from various sources, working smoothly together with already installed gas or diesel engines. ABB has a vast number of microgrid installations globally and through our partnership with Rolls-Royce Power Systems, we will further support the growing interest for mi-crogrid solutions globally. This substation solution is a good example of how ABB brings together domain expertise, best-in-class products and system integration capabilities. The project also reinforces ABB’s commitment to sustainable transportation. These pioneering digital substations will help supply clean wind energy to millions in a historic region embracing the future. These projects are another example of how digitalization is playing a key role in shaping power systems and reaffirm ABB’s position as a partner of choice for enabling a stronger, smarter and greener grid. 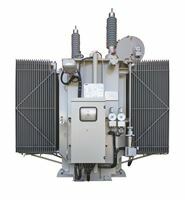 As the world leader in transformers, we continue to push the technology boundaries increasing safety, reliability and efficiency. These latest portfolio additions reiterate our ongoing commitment to innovation as we enable a stronger, smarter and greener grid. Our new ABB Ability Ellipse APM solution, which can be delivered in the cloud, or on premise, will provide real time insights to predict and prevent equipment and system malfunctions. The field data will enable timely actions and help enhance grid reliability and efficiency. ABB pioneered commercial HVDC technology more than sixty years ago and introduced crucial innovations like HVDC Light and ultra-high HVDC (UHVDC) transmission to ensure reliable and efficient power supplies. ABB’s participation in this project reflects SGCC’s ongoing confidence in ABB’s proven HVDC expertise and our long-term efforts to help China strengthen its power infrastructure while minimizing environmental impact. We are proud to extend our long-standing relationship with the Indian Railways and contribute to the electrification of the country’s rail network. 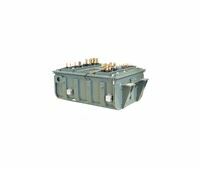 These transformers have been specially designed to deliver the highest levels of performance and efficiency. This latest expansion underlines ABB’s ongoing commitment to Indonesia. The facility will support the country’s efforts to strengthen its power transmission infrastructure, enhance grid reliability and help meet the growing demand for electricity. These innovative transformers facilitate the integration of offshore wind energy bringing clean power to consumers and reinforcing our position as a partner of choice for enabling a stronger, smarter and greener grid. ABB is a leader in the wind industry, providing components to turbine manufacturers and enabling the connection of wind farms to the grid. These transformers are another pioneering ABB technology innovation which will facilitate the integration of more renewables into the grid. ABB technologies continue to shape the evolving grid with solutions that help run the world without consuming the earth. ABB continues to support Egypt's efforts to upgrade and expand its power grid. The digital transformation in Egypt's power network will enhance the operations of the Suez Canal and ensure reliable power supply for millions. EETC is increasing the capacity, reliability and efficiency of the national grid in line with the Egypt Vision 2030 for sustainable development. We are pleased to work with ABB and El Sewedy Electric on this upgrade and digitalization that will benefit household and industrial consumers in the Suez Canal region. We’re pleased to be recognized as the global leader in enterprise asset management for the power sector. Our ABB Ability™ asset and workforce management solutions are uniquely suited to the needs of the electric power industry and our continued EAM market leadership reinforces ABB’s position as a partner of choice for enabling a stronger, smarter and greener grid. ABB’s Power Grids business is at the forefront of digital solutions in energy. ABB moved to the top of ARC Advisory’s EAM leaderboard this year in electric power generation, transmission and distribution due to its deep domain expertise and track record with utilities around the world. Our research revealed the global EAM market grew an impressive 11 percent in 2017. ARC Advisory expects this high growth to continue, which bodes especially well for ABB since power is the world’s largest EAM market. The utility of the future is being shaped by the changing energy mix and influx of renewables, as well as new demand loads. Digitalization is a key enabler behind this grid transformation, and CEPSI is an important forum of experts to present new innovations and technology. ABB’s showcase of innovative solutions reinforces the company’s focus on being a partner of choice for enabling a stronger, smarter and greener grid. Providing Portsmouth Navy Base with a state-of-the-art shore-to-ship power solution will help enhance overall efficiency while minimizing environmental impact. This project is another example of our commitment to sustainable transportation and reinforces our position as a partner of `choice for a stronger, smarter and greener grid. This digital innovation will enable customers to realistically experience the project before construction has even started and to make timely modifications. This helps to optimize the project, bringing time and cost efficiencies and enhancing safety. It can be deployed across the power value chain and is another example of ABB’s ongoing commitment to technology and innovation as a partner of choice in enabling a stronger, smarter and greener grid. This upgrade will enhance grid reliability and availability thereby increasing power security and bringing clean power to consumers. The project reiterates our strategic focus on service, our commitment to integrating renewables, and the role of digital technologies based on our ABB Ability based technologies and reinforces our HVDC technology leadership, as a partner of choice for enabling a stronger, smarter and greener grid. With this new factory we will increase our production capacity to meet the increased demand for our innovative dry epoxy bushings. This investment reinforces ABB’s commitment to being a leader in developing cutting-edge technology and reinforces ABB’s position as a partner of choice in enabling a stronger, smarter and greener grid. Our proven HVDC Light technology will enable the historical Maritime Link project to integrate and deliver clean renewable energy while enhancing grid stability and enabling power sharing. HVDC transmission, a technology we pioneered and lead, is an important element of our Next Level strategy, reinforcing our position as a partner of choice for enabling a stronger, smarter and greener grid. 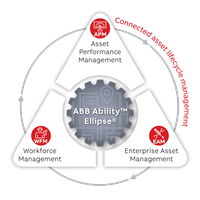 We are pleased to support Fingrid in their modernization initiative and their initial deployment of ABB Ability Ellipse APM. Our solution will help to focus on specific areas of critical importance across a number of substations within Fingrid’s operations. The substations will help to improve the electricity supply by expanding capacity and strengthening Iraq’s power infrastructure. These projects add to our extensive installed base in the region and support our focus on growing markets, reinforcing ABB’s position as a partner of choice in enabling a stronger, smarter and greener grid. We are pleased to support Stromnetz Berlin in the development of more reliable grid infrastructure to supply electricity to consumers and businesses in the city. ABB’s innovative GIS technology will help to address the challenge of urbanization, preserving valuable space and maintaining the city’s aesthetics. Pioneering GIS technology in the 1960s was a ground breaking milestone in our constant quest for innovation. 50 years of continued innovation has enabled a stronger, smarter and greener grid, bringing reliable supply of electricity to hundreds of cities and millions of people around the world. Our plug-and-play microgrid solution, has been designed to meet complex automation requirements and will ensure grid stability and fuel saving for Alinta’s operation. Microgrids and energy storage are key focus areas in our Next Level strategy, supporting our quest to provide grid stability, fuel savings, and bring reliable power to people, while reducing environmental impact, as exemplified by this project. We are pleased that our ABB Ability enabled distribution automation system, which combines digital technologies, conventional devices and plug-in applications enable operators to monitor and quickly get a visual overview and a list of alarms and trends related to plant operations. This stronger, smarter and more automated grid enables them to prevent power disruptions or restore supply speedily in case of outages, thereby minimizing unnecessary downtime. The deployment of these innovative microgrid solutions will enhance the integration of renewable energy and enable a stronger, smarter and greener grid in these remote parts of Alaska. Our investment in this advanced microgrid technology from ABB will enable us to maximize the contribution of clean renewable energy and reduce the use of costly diesel fuel for powering our villages and projects. It will also enhance the quality of life for the residents and support a sustainable energy future. We are delighted to partner with Pepco once again, to modernize the electrical grid in the US capital with our compact and proven GIS technology. These new installations will help enhance transmission capacity and reliability, providing power security for millions of urban consumers and reinforcing ABB’s position as a partner of choice for enabling a stronger, smarter and greener grid. We are pleased to support the strengthening of South Korea’s grid infrastructure and help improve the stability and reliability of power supplies to millions of consumers in the region. ABB’s innovative Series Compensation technology will provide a cost- effective and eco-efficient solution enabling more power to flow through existing lines, reinforcing ABB’s position as a partner of choice for enabling a stronger, smarter and greener grid. Claudio Facchin, President of ABB’s Power Grids division. We are pleased to build on our longstanding partnership with PSE SA with our latest ABB Ability Market Manager software solution. We look forward to continue supporting the digital transformation of Poland’s power network and bringing reliable power supply to millions, reinforcing our position as a partner of choice for enabling a stronger, smarter and greener grid. The deployment of ABB’s latest compact, reliable and efficient GIS technology will help strengthen the German transmission system. We are also pleased to continue our contribution to the German energy vision and support the transition to renewable forms of energy, a key focus area of ABB’s Next Level strategy. ABB continues to be at the forefront of digital grid technology development with a complete range of digital substation automation, control and protection solutions, from the switchyard to the network control center. We are pleased to support the development of a stronger, smarter grid and greener with Latin America’s first digital substation. We are delighted to be a part of this thriving resort mall that not only brings pleasure to millions of locals but also supports Thailand’s tourism industry. This highly compact indoor will save considerable space and ensure availability and reliability of power supply. The project reiterates our commitment to serving the building and infrastructure sector. Our innovative HVDC Light technology will enable the historical Maritime project to integrate and deliver clean renewable energy while enhancing grid stability and enabling power sharing. HVDC transmission, a technology we pioneered and lead, is an important element of our Next Level strategy, providing customer value and enabling a stronger, smarter and greener grid. We understand the challenges electric utilities face in driving greater levels of performance in an increasingly complex grid. With ABB Ability Ellipse, utilities can now use a single, streamlined solution for the management, maintenance and monitoring of assets enabling a stronger, smarter and greener grid. The biggest risk utilities face on the journey to digital transformation is the inability to unify applications and data. One of the most obvious starting points for utilities is to address the silo approach to asset management and workforce management in their organizations. As Asset Performance Management becomes a focal point for transforming the modern grid, it is vitally important that utilities manage their assets and labor with a cohesive strategy. We are delighted to be part of SBB’s impressive rail capacity expansion project. The innovative converter technology being deployed by ABB can meet the most demanding requirements, ensuring reliable performance and cost-effective operations, supporting our commitment to sustainable mobility. We are proud to partner with SNC-Lavalin to tap the vast opportunities of power infrastructure investments. Together, we intend to grow our businesses by complementing each other’s strengths in unique customer services for substation projects. Strategic partnerships like this are a core pillar of our Next Level strategy and help us to drive growth while mitigating risk. We are pleased to partner with Woodside on pioneering a PowerStore Battery energy solution for offshore oil and gas, which will reduce environmental impact and optimize costs. Microgrids and energy storage are key focus areas of our Next Level strategy and this innovative solution reinforces ABB’s position as a partner of choice in enabling a stronger, smarter and greener grid. Our ABB Ability™ based digital technologies for wind power applications leverage the industrial internet of things (IIoT) to maximize efficiency and reliability of power supplies. Our exhibits at this event also provide insights to wind power developers and operators on how new digital and analytics-based technologies can provide them with vital real-time inputs to make informed operational decisions making them more competitive and improving business performance. Alfredo Parres, from ABB’s Power Grids division, responsible for renewable energies. Our ABB Ability Network Manager control system will enable RTE to manage and optimize the transmission network across France and help maximize the reliable and efficient delivery of clean power to millions of consumers. Enhancing our digital focus and supporting our customers as a partner of choice for enabling a stronger, smarter and greener grid, is a cornerstone of our Next Level strategy. ABB’s microgrid solution integrates solar energy and curtails the use of fossil fuels to power Robben Island, bringing substantial cost efficiencies and supporting the Department of Tourism’s efforts to keep the heritage and spirit of this world renowned island alive. The project supports our focus on microgrids and our ongoing commitment to reduce environmental impact as a partner of choice for enabling a stronger, smarter and greener grid. 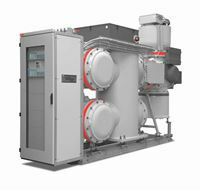 This new unit underlines ABB’s commitment to Indonesia. It will support the country’s efforts to strengthen its power transmission infrastructure, enhance grid reliability and help meet the growing demand for elec-tricity, benefitting millions of consumers. The move supports our global footprint approach and our philosophy of locating production units close to our customers. We are pleased to pioneer the concept of digital substations in Poland with this upgrade and equip it with our ABB Ability™ based technologies. 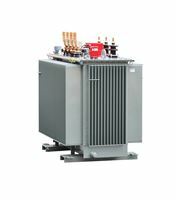 The upgrade will enhance controllability and reliability while helping to optimize costs for our customer. This project reinforces our focus on service and upgrades and supports our vision of being a partner of choice for enabling a stronger, smarter and greener grid. Our ABB Ability based integrated SCADA and Enterprise Asset Management software solution will provide TPG with actionable real-time data and valuable insights to optimize operations and enable predictive maintenance. 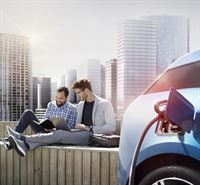 Leveraging software solutions that enable our customers to better manage their critical hardware assets, is part of our digitalization focus within our Next Level strategy as demonstrated in this sustainable mobility project. This innovative solution will help us to proactively manage and maintain our critical e-bus assets, enabling more timely and effective decisions. In addition to cost optimization, this new technology will also result in higher availability and less service interruption for our commuters. It is another example of how we are striving to ensure operational reliability, efficiency and safety while providing the citizens of Geneva with sustainable transport. We are delighted to implement this innovative solution which will enable the integration of clean wind energy, without compromising grid stability and power quality to consumers. Energy storage is playing a key role in the evolution of the power network and is a strategic focus area to reinforce our position as a partner of choice for a stronger, smarter and greener grid.